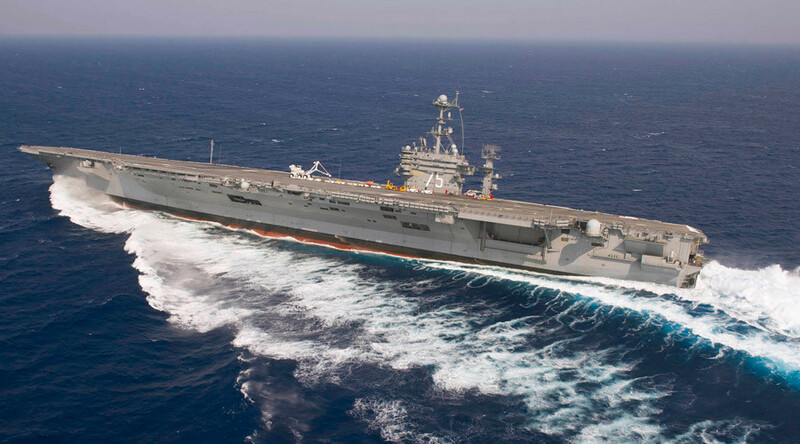 On Tuesday, reports emerged that last Saturday the US aircraft carrier was intimidated after missiles were launched by an Iranian patrol vessel on a parallel course with the American naval convoy. "The naval forces of the Guards have not had any exercises in the Strait of Hormuz during the past week and the period claimed by the Americans, for them to have launched missiles and rockets," Reuters quoted Revolutionary Guards spokesman Ramezan Sharif as saying. The alleged dangerous missile launch was reported by NBC News, which cited two unnamed US military officials as saying that the USS Harry S. Truman was about 1,400 meters away from the Iranian vessels, which launched two missiles as part of naval exercises. "The publication of such false news under the present circumstances is akin to psychological warfare," Sharif said.